Congratulations to Jayco and KZ for winning this prestigious award once again. 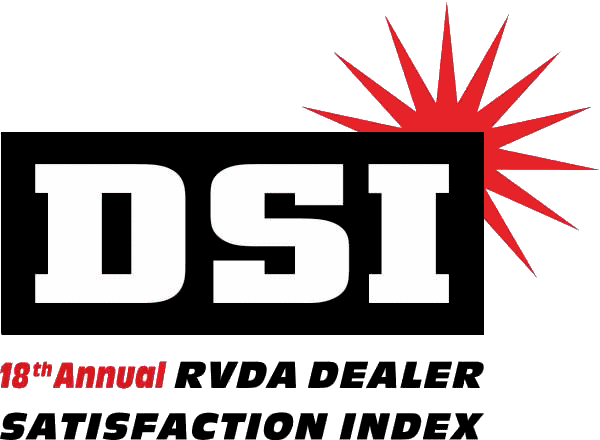 "The DSI Quality Circle Award recognizes the high level of commitment these manufacturers show toward their dealer business partners," said RVDA Chairman of the Board Tim O'Brien of Circle K RVs in Lapeer, MI. "Their commitment to continuously improving products and processes ultimately helps dealers serve customers better. We look forward to honoring these outstanding manufacturers at the convention this year." Jayco Skylark also won an honorable mention meaning that the brand scored high enough to received the award but had fewer than the minimum 15 surveys returned. The 18th Annual DSI survey was conducted between April and July 2011. Four hundred and eighty-four (484) dealers responded this year and provided 2,509 brand ratings. Shipshewanna, IN - Gag's Camper Way has been awarded K-Z's 5 Star Outstanding Service Award. This award is presented to those dealers committed to and accomplished a very high level of customer satisfaction.